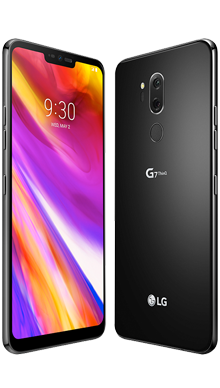 Select your desired options to find the best LG G7 ThinQ deals for you. LG has a reputation for innovation and style, and the LG G7 ThinQ is no exception. The name is actually designed to be said as ‘Think” rather than ‘Thin Q’ and relates to LG’s advancements in artificial intelligence which they have named ThinQ. This is, therefore, the first of their handsets to feature this technology, and it is their future. The LG G7 ThinQ is a stunning high-level smartphone that is packed with features which do make it one of the more expensive handsets but the functionality is going to sell this handset over and over again. The handset features clearly define this phone as being from the genius at LG, it looks similar to their other handsets, and they have clearly found a formula that works for them. 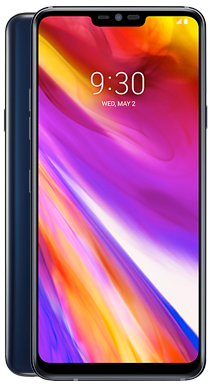 The LG G7 ThinQ has a bezel surrounding the screen which is bright and sizeable 6.1-inch LCD screen which is right on trend. 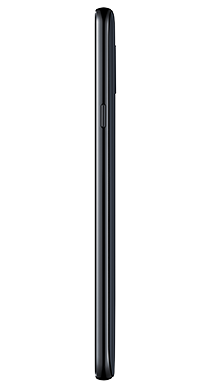 At the top, you will find the notch, which combines well with the other features to create a lovely looking handset. Enhanced biometrics means you can use your fingerprint, your face or even your voice which is more than pleasing. On the right side of the handset is the lock button and on the left your volume up and down buttons. Located along the bottom the standard 3.5mm headphone jack and the dual purpose port for data transfer and charging. In terms of the screen, the performance the technology is perfect and supports HDR10 meaning that streaming movies and playing games can be done with true to life colours with exceptional quality. This also means that video and photo capture is stunning and the handset copes with a range of light conditions from very bright to dusk and nighttime viewing. You can change the level of brightness to ensure the best brightness for your eyes. The screen of the device has been designed to be highly efficient and looks visually quite impressive. Thankfully, this outward appeal is also backed up by a good performance, offering high-quality photo and video. The audio performance of the LG G7 ThinQ is excellent, with stunning audio quality, whether you are using the speakers or options for cans. There is a great range of audio modes which are all user definable so you can customise your audio performance to feel like you are at the theatre or enjoying a more intimate performance at home. Of course, the addition of the headphone jack is useful for those who enjoyed wired headphones, but Bluetooth is available for those who prefer to head down the wireless route. When it comes to camera tech, we are also more than impressed with the LG G7 ThinQ. As you would expect there is both front and rear capability, the rear lens gives a highly capable 16MP option which combines well with the internal gadgetry to generate some pro-level images. On the front, your selfie camera gives you 8MP and is perfect for capturing your day. You can also take advantage of Google Lens which provides you with the ability to store details about your location. It analyses your photo and provides you with information, for example on the type of food you ate or something. As you might expect the LG G7 ThinQ runs the superior Snapdragon 845 chipset, and comes with 4GB of RAM which delivers a tremendous powerful performance and 64GB of storage which is pretty perfect for most users. Of course, this is an Android offering, and you will find it running Oreo which gives a solid performance. This is backed up by a 3000mAh battery which means that you can comfortably run multiple processes and spend the day away from the charger. Speaking of charging the LG G7 ThinQ comes with a QuickCharge 3.0 cable and also supports wireless charging although as yet no manufacturer is giving away wireless chargers at standard. The handset comes with IP68 water-resistance which means that you have a level of protection against accidental spills or drops, but as always we do recommend a screen protector or case is used as there is nothing more frustrating than being without your phone while it is being repaired. 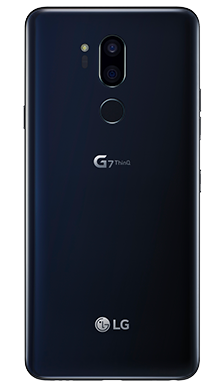 The LG G7 ThinQ is a stunning handset that features some of the best LG technology making it powerful and reliable. Android phones are still some of the most popular on the market and the performance offered here means this is certainly one to put on your interested list. You might even decide this is the handset for you. 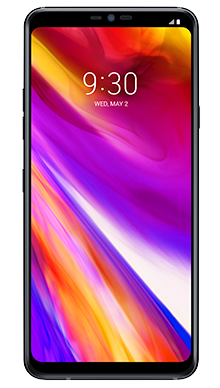 Looking good and offering the features you would hope for the LG G7 ThinQ features a powerful camera, concert level audio performance and an operating system that is robust and capable. You can have a telephone that responds as a camera, internet access and much more. It is a handset worth looking at for mobile gamers and movie buffs alike, and it certainly comes with more than enough to keep anyone's interest. Google Lens is a cute feature that is gaining in popularity, and there is no lag when it comes to running more than one process at a time. There really is nothing bad to say as the LG G7 ThinQ is a great example of a smartphone that we know is going to be flying off the shelves. No matter what handset our customers have their eye on our mission is to bring the broadest range of deals for you so that we have something to suit all budgets and you can oww the phone you want. Our deal hunters have been hard at work getting a stunning list of pay monthly mobile deals, and we are sure you will be delighted. Here at Fonehouse, we partner exclusively with EE and Vodafone because we know that having a reliable network is vital, and you want to be able to use your phone anytime you need. We know that both these provers have a stellar network coverage so if you think the LG G7 ThinQ and you have any questions why not give our team a call on 0333 900 1133.